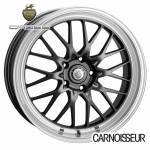 Size - All Sizes -15"16"17"18"19"20"22"
Cades alloy wheels, available here at Carnoisseur, are perfect for making your car stand out from the crowd. Browse the extensive collection below and find alloys ranging in diameter from 15” all the way up to 22”. They come in a range of the latest styles too, including split-, multi- and cross-spoke designs. 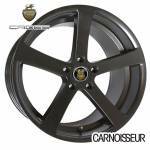 Have you checked out our selection of wheel accessories? We have everything you need including PCD adapters to wheel spacers. 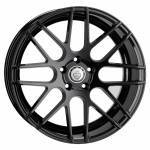 Order your Cades alloy wheels online now or, if you prefer, find your nearest outlet to buy your rims in-store instead. 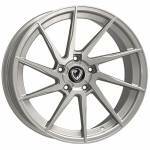 18" | 20" | 22"
Do you offer 0% interest free credit on alloy wheel purchases? Interest free finance is available through Paypal Credit. If you checkout through Paypal you have the option (subject to approval) to split your payment over a 4 month period, interest-free. Most of our Outlets can offer a complete alloy wheel and tyre fitting service. 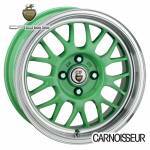 Please contact your local Carnoisseur Outlet for details. 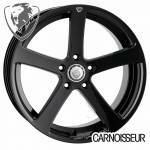 Do you sell alloy wheels for vans? 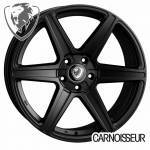 Yes, we sell a huge range of alloy wheels for vans and other commercial vehicles like pick-up trucks. 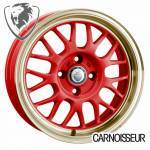 Van wheels have become increasingly popular over the last few years and there is a bigger choice than ever. All of the van wheels we sell are load rated, this means that they are designed to be stronger and have a higher maximum load rating than most alloy wheels. All cars and van have a maximum load rating amount for the front and rear axle - this is measured in kilograms and is stated on the vehicle’s vin plate. It is really important, especially for commercial vehicles, that the wheels and tyres on your vehicle have a load rating that matches or is greater than your vehicles’s maximum load rating figure. Our vehicle selector automatically takes load rating into consideration - just select your vehicle and the selection of wheels shown will be suitably load rated for your car or van. 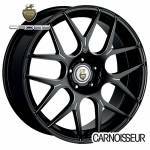 Do you sell wheel and tyre packages? Yes we do! All of the wheels we sell are available with tyres. Once you have selected a vehicle and a wheel, the wheel and tyre package options will be displayed on the product page. You can choose from a huge range of tyres; from entry-level budget packages right the way up to premium brands such as Pirelli and Continental. All wheel and tyre packages are supplied with the tyres fitted and balanced, ready to bolt-on to your vehicle. Do you sell wider wheels for the rear of my car? We offer a big range of wheel packages that include wider wheels at the rear - we refer to this as a staggered fitment. Traditionally, powerful rear-engined vehicles have wheels that are wider at the back than the front. Many of the wheels we sell can help you achieve this staggered look. If a set of wheels is available as a package with wider rear wheels then this option will be shown once you have selected a vehicle and selected a particular wheel. Suitable tyre sizes for the front and rear will also be displayed. How do I know that the tyres supplied with my wheels will be the right size? Use our vehicle selector to view the wheels that are available for your car; select a wheel; and select a wheel and tyre package. The wheel and tyre package that is shown automatically includes tyres in a size that is correct for the size of the wheels selected, and correct for your specific vehicle. 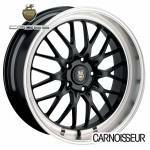 How quickly can you deliver my new wheels? 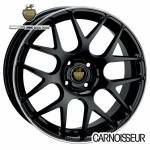 We only list wheels on our website if they are in stock, however the lead times can vary dependent on exactly where this stock is - sometimes we draw on stock from warehouses in Italy and Germany, and this can cause slightly longer delivery times. Delivery is usually between 1 and 10 days. 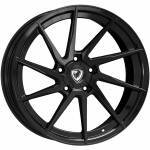 To view the estimated delivery date for the wheels you have selected simply click on the delivery information tab on the product page. 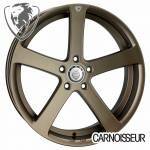 Alloy wheels are wheels for cars and vans that are designed to provide additional strength, weight savings and a much improved look for your vehicle. They are normally made from an alloy of aluminium mixed with other elements in order to achieve optimum strength and durability. 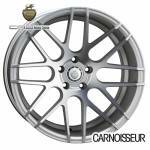 What are forged alloy wheels? 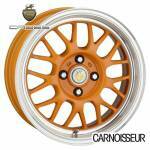 Forged wheels are lighter and stronger than wheels that are made in a cast. Forged wheels get their name from the manufacturing process - instead of liquid metal being poured into a mould, forged wheels are “forged” from a single piece of metal using specialised machinery. 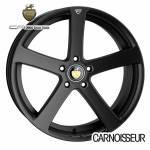 The result is a strong, durable, light-weight wheel, but the process is more expensive and therefore the price of the alloys is higher than most. 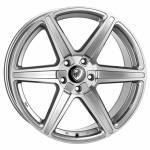 To view the forged wheels we offer simply filter the alloy wheel results by “forged”. Offset (or ET as it is often referred to) is the measurement taken from an imaginary line drawn through the centre of your wheel (as you look at it from the side), to the flat mounting surface that bolts to the vehicle’s hub. It is measured in millimetres. If the offset is higher the wheel will sit further into the car, away from the arch. If the offset is lower the wheel will sit further out, closer to the arch. Different vehicles require wheels with different offsets. 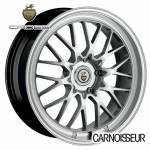 For instance some cars require alloys with a low offset (around ET15) and others need wheels with a high offset (around ET50). It is normally the case that a small range of offsets will be suitable for the same car, for instance anywhere between ET35 and ET45 could be a good fitment for a particular vehicle. 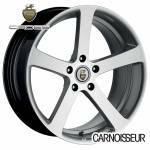 Our clever website makes sure that the wheels listed for your car or van have the right offset. PCD stands for pitch circle diameter. It is the most basic fitment criteria - if you don’t get this right then your new alloys won’t even bolt on to your car! Different vehicle manufacturers use different PCDs - they are denoted by numbers such as “4x100” and “5x114.3” - the first number refers to the number of bolts (or nuts) holding on each wheel. This is normally 4 or 5, but it can be 3 or even 6 for some vehicles. The second number refers to the diameter of the circle that these holes lie on - if you were to draw an imaginary line through all of the holes this would create a circle. If you then measured the diameter of this circle it would give you the figure you need. The good news is that you don’t really need to worry about this because our vehicle selector ensures that the wheels we are recommending for your car are the correct PCD. What does tyre load rating mean? Every tyre has a load rating or load index. This is a number that is stated on the tyre wall ranging from around 60 to 120. Each number represents the load in kilograms that the tyre is designed to carry, for instance the load rating 80 represents 450 kg. This tyre load rating is particularly important for commercial vehicles that are carrying heavy goods - the load rating of the tyre being used needs to be at least equal to the vehicle’s maximum load rating (which you can find on the vin plate). For example if the vehicle’s load rating for the front axle is 1000kg and 1100kg for the rear axle, then you need to take the highest figure (in this case the rear axle rating) and divide it by two. This gives you a figure of 550kg, which would mean that the tyres you use should be at least 88 rated as this is up to 560kg. The tyres we recommend with our wheel and tyre packages are load rated to the selected vehicle wherever possible, however we do recommend that you double check your specific vehicle’s load rating before proceeding with an order. The tyre load rating can be viewed within the wheel and tyre package listings on our website - you are also able to filter by specific load ratings. What does tyre speed rating mean? A tyre’s speed rating is always marked on the side wall. It ranges from N to Y, with each letter representing a different maximum speed that the tyre has been designed for, for example a V rated tyre is suitable for speeds up to 149mph. The tyre speed rating can be viewed within the wheel and tyre package listings on our website - you are also able to filter by specific speed ratings. What is the difference between steel and alloy wheels? Steel wheels tend to be made of (you’ve guessed it!) 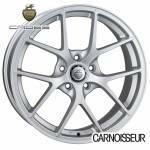 steel, whereas alloy wheels are usually made from an alloy of aluminium and other elements. 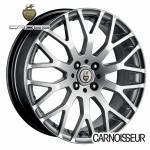 Alloy wheels therefore tend to be lighter and stronger. The material that alloy wheels are made of also allows for a greater range of designs that not only look great, but often allow greater air flow to the brakes and improved dissipation of heat, which improves braking performance. What size alloys can I fit on my car? When we talk about the size of an alloy wheel, we are usually referring to the diameter, and this is normally measured in inches. 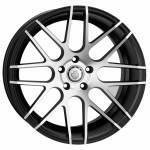 The size of alloy wheels varies from around 10” right the way up to 23”, but not all wheels will fit all cars! Use our vehicle selector to view the range of wheels that are suitable for your car or van. In most cases a small range of sizes will be available - once you’ve selected your vehicle you will be able to filter by size or alternatively simply select a wheel from the results shown and the available sizes will be displayed. 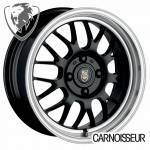 Will all wheel designs fit my car? No they won’t. 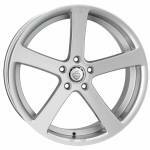 There are several factors that determine whether a particular alloy wheel will be suitable for your car or van. This includes the stud pattern (PCD), offset, size, width and bore size. 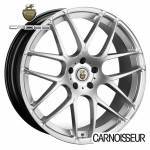 Our website looks at all of these different factors to work out exactly which wheels are available in a fitment that is right for your vehicle. Will bigger alloys affect my car's performance? 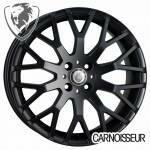 Let’s be honest, most people put bigger alloy wheels on their car or van because they look good. 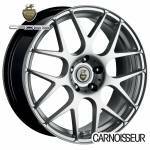 However, there is a reason that most high performance vehicles have larger alloy wheels. Bigger wheels allow for bigger brakes and increased air flow to the brakes, allowing for overall increased braking performance. Larger, wider wheels and tyres will also allow for greater grip and better handling.